Alexa, a voice assistant that is pretty okay at setting alarms most of the time, may soon be equally mediocre at providing medical advice. Amazon is reportedly building out a team dedicated to expanding Alexa’s health and wellness capabilities. According to internal documents obtained by CNBC, Amazon has put together a group of more than one dozen people operating within its Alexa division who are focused on expanding the voice assistant’s use in the field of healthcare, including diabetes management, support for new mothers and infants, and aging care. Amazon declined to comment on the reported project. “Per company policy, we do not comment on rumors or speculation,” a spokesperson for Amazon told Gizmodo. Amazon has been dipping its toes into health care more and more in the last year or so, and given the sudden ubiquitousness of Alexa—which has invaded more than four million homes, according to a survey conducted by NPR and Edison Research—it has a solid vehicle to start dispensing advise for personal wellness. Last year, Amazon launched a contest with drugmaker Merck to create Alexa “skills”—apps that perform specific tasks—to help people manage diabetes. The winner of the competition, a service called Sugarpod from digital health company Wellpepper, does not currently appear in the Alexa Skills Store. There are a number of other diabetes management skills available, though most don’t have reviews, which suggests there is low use or interest in them. That’s true for most Alexa skills, as it appears most people just aren’t that interested in using the device for much beyond basic automation. An analysis conducted by Voicebot found 62 percent of Alexa skills have zero reviews, while just four skills have over 1,000. Alexa’s actual use thus far has been pretty narrow, and now Amazon is trying to change that. The company’s primary hurdle in that task will be making the voice assistant compliant with the privacy requirements of the Health Insurance Portability and Accountability Act (HIPAA). 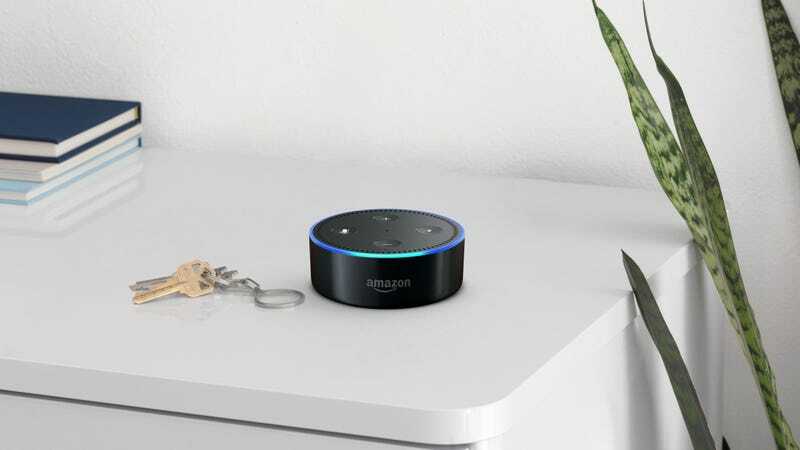 The law sets some pretty stringent requirements for handling sensitive health-related data, and Alexa currently does not meet those standards. The company’s cloud platform Amazon Web Services (AWS) does support HIPAA compliance and the new health and wellness team reportedly has a HIPAA expert on board, so Alexa may soon be able to properly handle your medical data—assuming you’re willing to trust the voice assistant with that information. Amazon’s increased interest in the healthcare industry comes as the company is reportedly bowing out of the pharmaceutical business. CNBC reported last month that Amazon was shelving a plan to sell drugs directly to hospitals through its Amazon Business platform, and experts have suggested the barrier to entry in the filed may prove too high even for the tech giant. While the healthcare industry is a multitrillion-dollar business, Amazon will have company as it tries to insert its voice assistant into the market. Apple has been expanding its healthcare capabilities over the last few years, and the Apple Watch has found its groove as a medical accessory. IBM also has its foot in the door in hospitals with its artificial intelligence Watson—though recent reports suggest its impact has been vastly overhyped. If any of these companies manage to find a way to make health and wellness services more accessible and affordable for the average person, that would certainly be welcome. The average American spends more than $10,000 per year on healthcare costs, so there’s plenty of room for improvement.